I created my plane front using zigzag circle dies(My Favorite Things), a banner die (Lil Inker Designs) and silver brads. I cut them and the stitched frame (Lil' Inkers Designs) from mirror cardstock. I matted the frame over a triangle embossed (Cuttlebug) white back. The 'dad' sentiment is from metal letters. Check out all the Design Team's masculine projects and leave them some blog love! I hope you play along with us this week and share your masculine inspired projects with us! You might be our next guest designer! Woohoo! So incredibly creative, Nance, WOW!!! 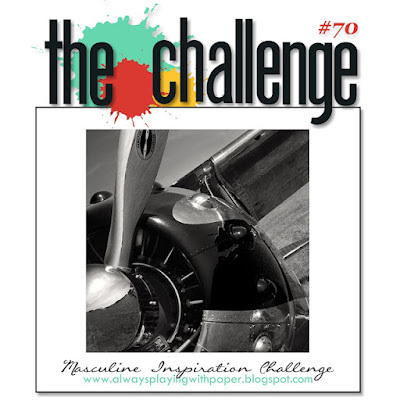 What a cool take on the challenge! You're so creative! A perfect masculine card, Nance! Fantastic layering of dies for a focal point! 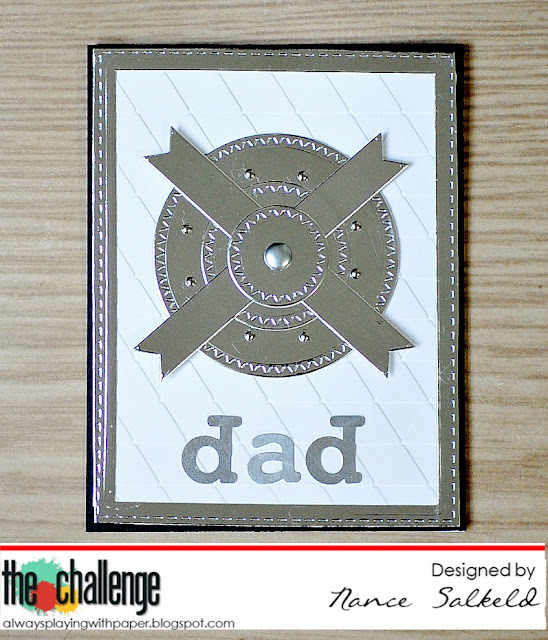 Fabulous take on the challenge, I love all that silver. Absolutely brilliant use of the inspiration, Nance! I love this! Thanks so much for the sweet comments on my blog. I was so honored to design with TC in April! That mirror paper couldn't possibly be any more perfect for the propellers! Fun card, Nance!